I’m a sucker for nostalgia so I’ve been loving the Once Upon a Time linky organised by Helen from The Busy Mamas. 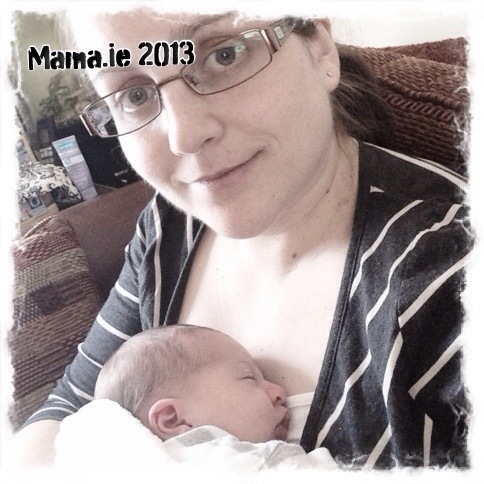 Thanks to her prompting, the Irish Parenting Bloggers have been sharing their most precious memories of babyhood, reminiscing about the things they miss most. I’m not a big baby person. Sure they’re cute, but give me an adorable toddler any day over a newborn. I often joke that I’d be happier if I could just start at their first birthday and take it from there. Still, now that my Little Woman is running around the place and leaving her babyhood behind, there are definitely things I look back on and miss. Top of my list is that feeling when your baby is snuggled on your chest and sleeping soundly. Good luck to the person who chimes in with “You’ll have her spoiled.” I’m not listening. I’m too busy making the most of these small baby cuddles because I know how fleeting they are. The way their little chest rises and falls as they breathe softly on you. The contented little sighs they let out every now and again. And the sleepy smile they give you when they wake and you’re the first person they see. And you sit there watching them sleep, safe and secure in your arms, knowing there are a million other things you could be doing, but nothing else you’d rather be doing. Oh yes, that’s what I’ll miss. Aw,just lovely-those baby shaped cuddles.